Thousands of jobs need to be safeguarded by ‘life-support’ measures to help Irish companies badly hit after Brexit, a leading business group economist has warned. Cashflow supports through interest-free loans, an increase in grant aid and changes to VAT rules may all be vital to keep many businesses alive, warned Fergal O’Brien, chief economist and policy director at employers’ body Ibec. “In terms of life support measures, manufacturing is the most exposed sector, the entire agri-food industry, and engineering. These are the sectors that need a designed bespoke set of measures. We need an emergency plan to put companies on life-support and give them time to adjust and diversify,” he said. “We have EU state-aid rules – in normal times you don’t support industries. When you have exceptional times and exceptional dislocations such as Brexit, then you have to. “We did this back in 2008 when the global crisis hit. “Governments need to be allowed to intervene and support the most affected industries. We did it for the German car industry. We did it for the French chemical industry,” he said. The Government and Enterprise Ireland as well as various agencies are implementing measures to help companies, including funds to help them break into new markets, and there are lower-cost loans. “But the crucial point is if we face a hard Brexit or cliff-edge Brexit, we are going to need a whole new scale of intervention that is about life support so these companies can continue to operate. “We did a scheme back in the 2008 downturn called an enterprise stabilisation fund which provided cashflow support which was the big pressure… We are going to have the do the same here,” he said. Cashflow support would give interest-free loans to companies, and an increase in grant-aid, particularly around investment in equipment and machinery. “We can also do things around our tax system. If the UK becomes a third country, we will have to pay VAT at the point of entry. That will really hurt the cashflow of small businesses. There are arrangements that other countries are putting in place to avoid that cashflow pressure. This would remove the requirement to pay VAT at the point of entry so they can pay for it later when they are getting cash from sales. “It has been talked about but it hasn’t been done. We need a Government decision and certainty from Brussels that if we do hit the worst-case scenario that we will have those emergency supports in place to keep companies alive. “Crucially, we need aid to be allowed from the moment we need it. That we won’t be waiting six, nine or 12 months for Brussels to give permission. We are looking at significant numbers of jobs under threat. Tens of thousands of employees will be working in companies that will be facing severe pressure and severe stress. “Increasingly, our goods and groceries have come from the UK. Brexit will make all of that more expensive… it’s going to hurt the consumer. “A deal is possible by the end of March but it will have to have a transition period. Everyone needs time to adjust. There is no provision for a transition in a no-deal scenario,” he said. Meanwhile, new EU contingency plans for hauliers may help avoid disaster for the industry. Transport Minister Shane Ross will bring an EU directive before the Dail which would potentially allow Irish hauliers operate as normal in the UK for an additional nine months in the event of a no-deal Brexit. 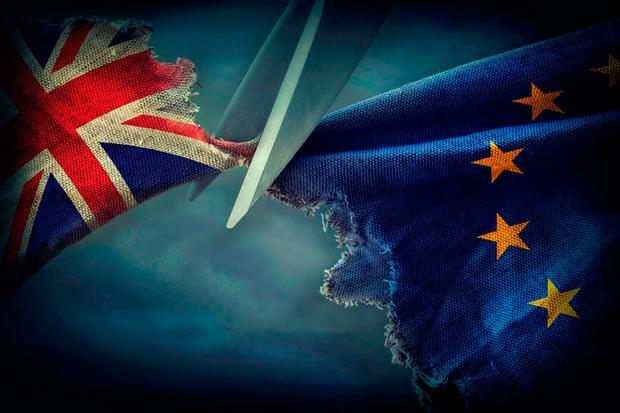 “The proposal would allow UK-licensed road hauliers to continue to complete journeys in the EU after March 29 in a ‘no-deal’ scenario. It is contingent on the UK giving equivalence of rights to EU hauliers during this period,” the plan reads. The UK has taken steps to implement the same measures for EU hauliers.